Ngā Manukura o Āpōpō: Te Puawaitanga - Supporting Māori to take on new challenges. Katarina is a Community Clinical Nurse who specialises in long term conditions. She works for Central PHO in Palmerston North, and graduated from Ngā Manukura o Āpōpō in November 2012. Katarina has spent the last 12-13 years working in a range of locations such as Mangere, Ruatahuna, and Brisbane. 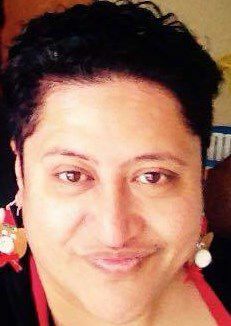 She has held various nursing roles including rural, prison, community (school, practice and public health), and Kaupapa Māori. Prior to participating in Ngā Manukura o Āpōpō, Katarina did not have much of a view of, or aspirations to achieve, leadership. Professionally, she was in a position where there was scope to move on but she was hesitant to do so due to lack of self-belief. Katarina had heard about the training from some of her peers and had already pondered about whether it would be something for her when she was approached by management about taking part. Having that organisational support gave her the confidence to jump on board. Katarina is both Māori and Pacific. While she was well grounded in both cultures prior to the training, she was more so in terms of her Pacific side. For Katarina, the opportunity to spend time with other Māori who were in, or striving for, leadership roles was a highlight of the training as it inspired and motivated her to move in this direction. When I actually gave it a go… I was like. I can do this. Having the training on the Marae made Katarina feel safe and familiar. The kaupapa presented exceeded her expectations and noho marae allowed for extra learning and networking. One presenter went on to 11.30 at night… we were all so engrossed in what she shared with us that we didn’t care. The training provided Katarina with useful tools for private and professional purposes. She learnt about whānau planning (how to set goals for and help support her whānau), and aptitude tools (to help progress her own career). She found that informal conversations with presenters and trainees provided good discussions around these tools and how they had been used by others. Katarina undertook two projects while doing the training. First she worked towards implementing a Nutrition and Active Living (NAAL) Policy in her work place as a means to increase productivity and decrease absentees – while also supporting staff to “practice what we preach”. While her project was not completed due to a lack of staff interest, she learnt many useful skills as part of the process – including project evaluation and how to submit a proposal. She also enhanced her critical and analytical skills in regards to sharing information, knowledge and research. Secondly, Katarina took part in a group project; Kai Pai Kai Roopu. This project aimed to improve healthy eating and increase physical activity amongst staff. Group members saw a number of positive benefits come out of this project, including more energy and increased unity amongst participants, weight loss, and more regular bowel movements. One group member lost 10 kg, and after 8 years of trying for another pepe fell pregnant. She contributes her much awaited pregnancy to the project and her subsequent healthier lifestyle. Ngā Manukura o Āpōpō directly influenced a number of positive changes for Katarina. Most importantly, it helped her to strengthen her own self-belief. The course gave her affirmation of who she is – and she is now more accepting of herself and others. Since the training, Katarina is more inclined to take on leadership roles and actively participate in project teams. She says it influenced how she interacts with other people – and she now communicates more effectively with other staff. Overall, she is more assertive and she feels like she has something to aim for in the future. I feel like I have a bigger voice. I’m empowered to look at decisions more quickly… and questioning… not taking things at face value. As a Māori professional, having stronger self-belief has been a factor of change. While she saw her role in the past as… “head down mahi”, she is now more aware and confident about tracking her results. In the past, she did not recognise her own achievements in fear of appearing whakahīhī. For Katarina, the course has been particularly relevant now that she (for the first time) works in a mainstream setting. It has given her more of an armour to being the odd one out (being one out of only two Māori nurses), and has provided a source of strength. At times you have to justify why you do certain things... so to be able to assert myself in that way…. I have learnt not to sell myself short because I’m Māori. I’m able to recognise my self-­worth. Along with other Ngā Manukura o Āpōpō graduates, Katarina is also a new recruit for an Iron Māori event1 – an entirely new experience for her. 1 Iron Maori is a combination of events such as ¼ marathons and duathlons held in New Zealand and Australia.